Chef, supper club host, and now award winning cheese maker Mario Olianas will be hosting our Autumn supper club, Sardinian style along with head chef Stefano Borella at the famous La Cucina Caldesi cookery school. Mario is delighted to be hosting this Sardinian Autumn feast at La Cucina Caldesi, Marylebone- where you will experience preparing and enjoying a four course Sardinian menu – complete with specially selected wine pairings. Before moving to Yorkshire in 2001, Mario originally grew up in Sardinia, and is still so passionate about traditional Italian cuisine and has therefore turned his passion into a successful business, using all fresh, local produce when he can. 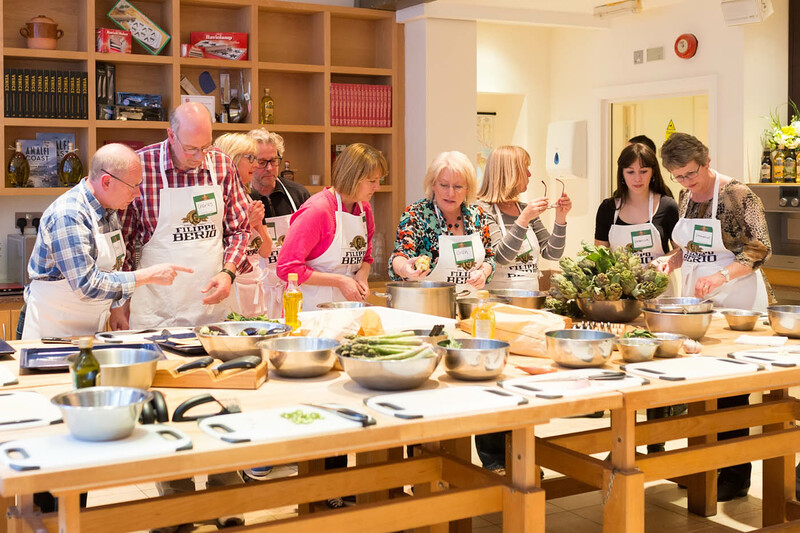 So far, Mario holds his ‘Cena Sarda’ supper club in Leeds, Taste of Italy Nights as well as stalls across Leeds, Harrogate and Knaresborough Farmers markets, and cookery demonstrations. Mario is now well known for his award winning cheeses- in particular his famous Yorkshire Pecorino which was awarded a ‘supergold’ award at the Guild of fine food world cheese awards 2017- an award for the top 66 cheeses in the world! His ‘Leeds Blue’ also achieved an impressive silver and gold award. Any cheese lovers dream- you won’t want to miss out on trying these delicious delicacies. And of course- all of this will include a goodie bag from Filippo Berio- worth £30! If you want to know more about Mario..